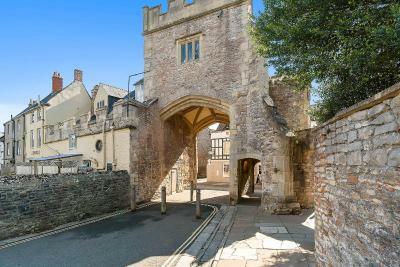 Lock in a great price for The Ancient Gatehouse – rated 8.2 by recent guests! Good sized room, that was lovely and warm. Facilities in the room were very good. Location near to city Centre. Views of the Cathedral are wonderful. 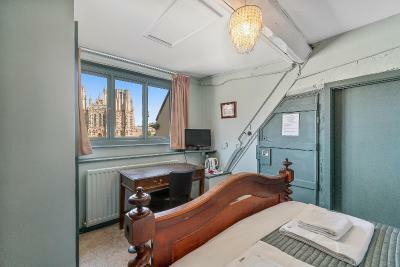 Rooms were beautifully decorated and having the view of the Cathedral was the "Icing on the Cake". 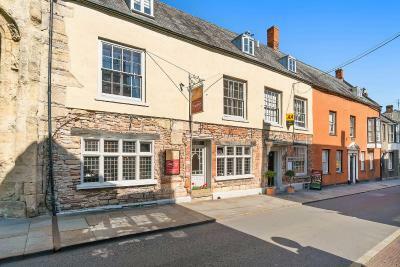 Wells is a quaint historical city full of character with independent shops, cafes and restaurants. Visiting with my family before Christmas was truly magical with the vibrant Market, Christmas Lights and decorations. 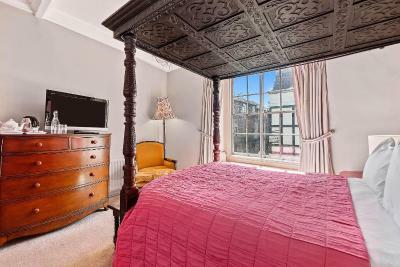 The streets were buzzing with atmosphere and it is definitely worth booking well ahead to assure you have accommodation at this time of the year, as a very popular choice for family and friends get together. 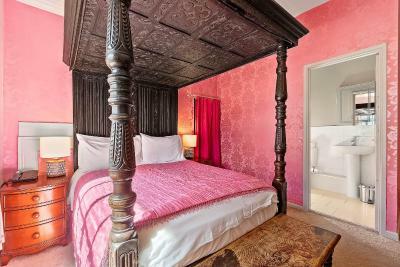 the surprise of a 4 poster bed and the very deep matressess. 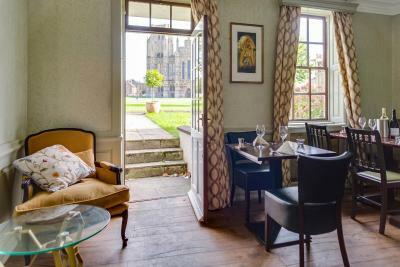 lovely meal in the restuarant and perfect location for the Wells cathederal and bishops palace. Friendly staff and location ! And the hotel was a cute place!! 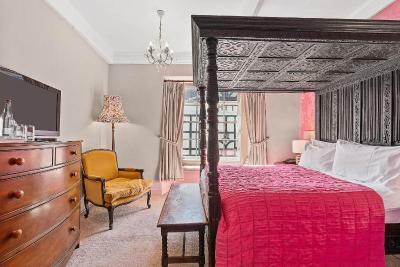 Good location, comfortable four poster bed, good sized shower room, proper tea & coffee making facilities. The restaurant was lovely for an evening meal and breakfast was tasty too. 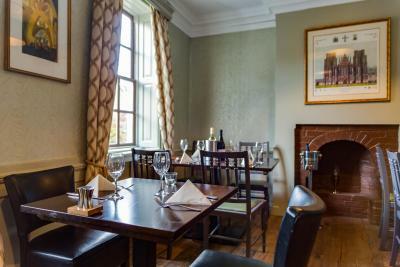 The breakfast was very good, as indeed was the food in the restaurant, The staff were really friendly and the location of the hotel was superb. 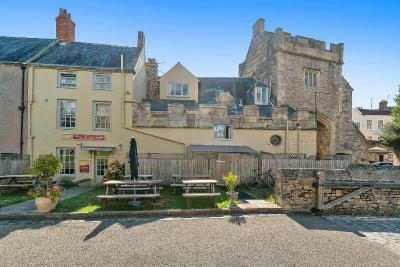 It is a very old building and does have quirky aspects, which adds to its character. View from the bedroom was impressive. Fantastic location. Staff were super friendly and helpful. 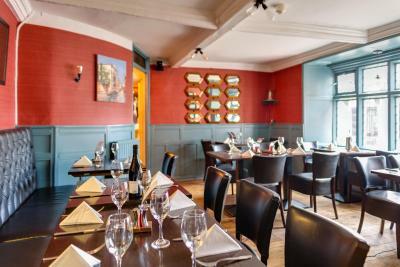 The Italian restaurant was lively with very good food. Very nice staff in a lovely hotel with a good restaurant. Beautiful cathedral and bishop's palace with some great walks. One of our top picks in Wells.Set in a stunning location on Wells Cathedral Green, facing the West Front, the Ancient Gatehouse is well-located for exploring Somerset's beautiful historic areas. 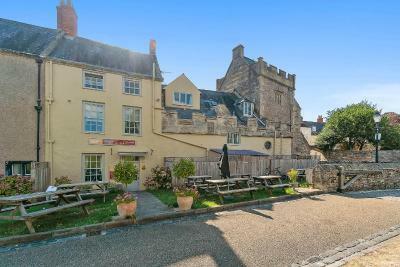 Just yards from the ancient market place, the hotel reflects authentic period charm with its centuries-old spiral stone staircase and quaint little passages. 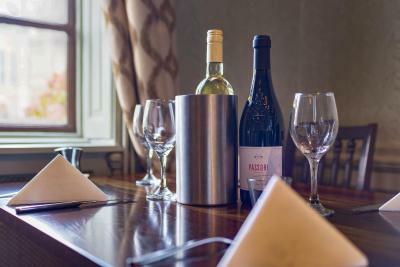 The Ancient Gatehouse boasts the excellent Rugantino Restaurant, specializing in authentic Italian cuisine, with a welcoming atmosphere. 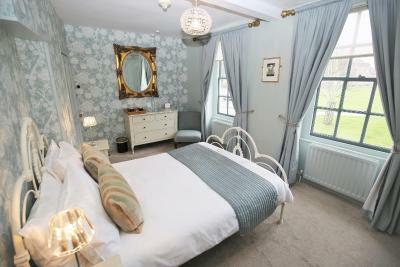 Rooms have been refurbished to a very high standard and retain their original features and character. 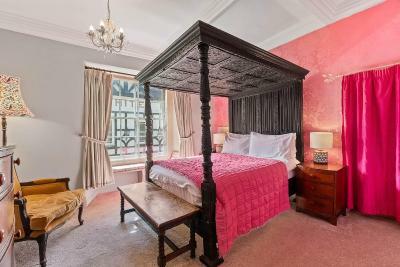 Some rooms have a four-poster bed. Bristol, Bath and Longleat are close by. 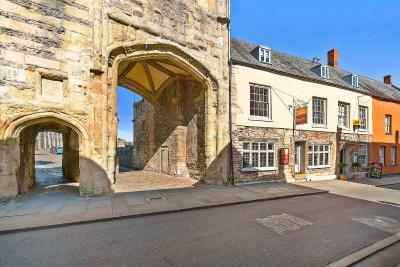 When would you like to stay at The Ancient Gatehouse? 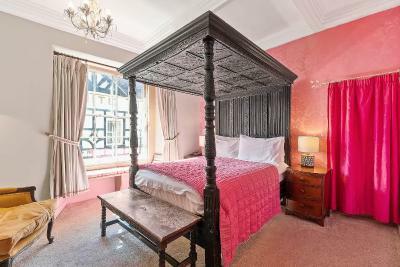 Includes an original 4-poster bed. 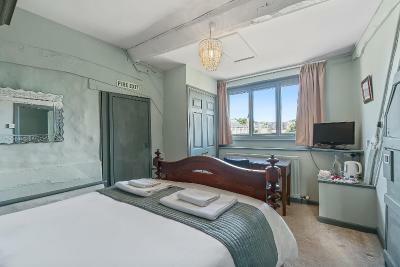 These first and second floor rooms feature tea and coffee making facilities, a digital TV and an en-suite shower room. 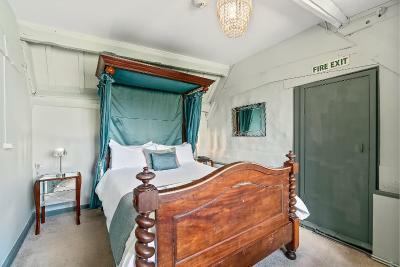 These first and second floor rooms feature tea and coffee making facilities, and an en-suite shower room. 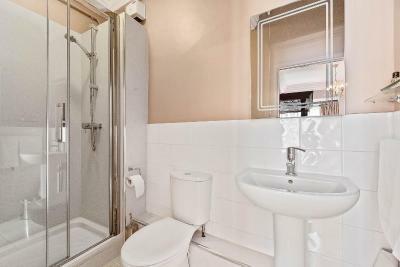 This first floor room features tea and coffee making facilities, a digital TV and an en-suite shower room. 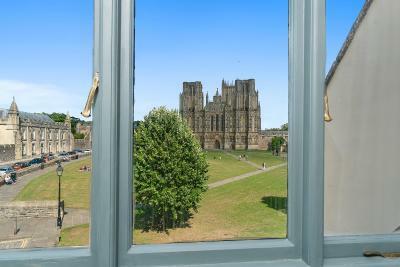 This second floor room features views of Wells Cathedral, tea and coffee making facilities, a digital TV and an en-suite shower room. These first and second floor rooms feature half-tester beds tea and coffee making facilities, a digital TV and an en-suite shower room. 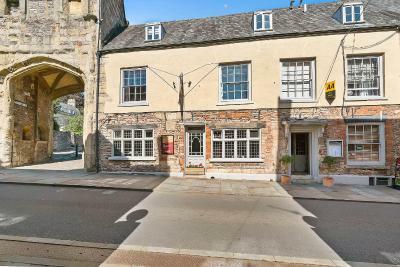 The Ancient Gatehouse is a family run hotel and restaurant offering a blend of friendly and professional attention in relaxed yet stylish surroundings situated facing the famous west front of Wells Cathedral and the Cathedral Green. The Rossi family have run the hotel for over 43 years. 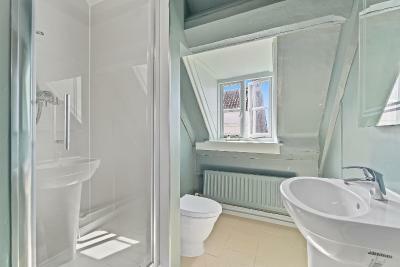 We are constantly upgrading the bedrooms and bathrooms to reach a very high standard. House Rules The Ancient Gatehouse takes special requests – add in the next step! The Ancient Gatehouse accepts these cards and reserves the right to temporarily hold an amount prior to arrival. Please note all rooms are on the first and second floor up stairs with no elevator access. Assistance can be provided with luggage. Please note there is no on-site parking, but there is a range of parking options nearby. the stairs were mental. very steep. excellent breakfast. helpful friendly staff. the room was comfy. nice shower. Receptionist did not even suggest I eat at their restaurant! 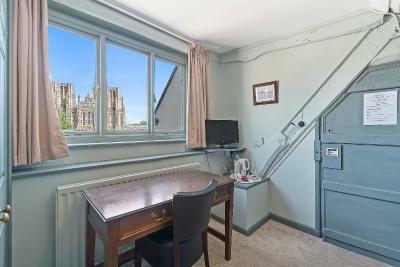 Amazing room in the old gatehouse with views of Wells Cathedral. 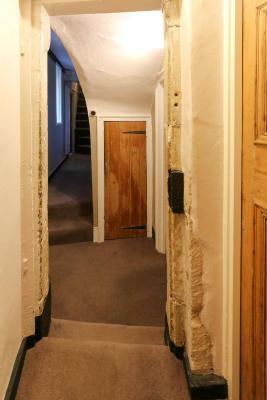 We loved the fact that it was still accessed by the original stone staircase. 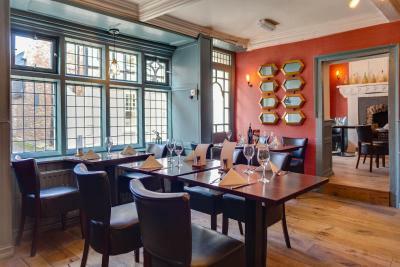 The full cooked breakfast, which was freshly prepared, was delicious and the staff were pleasant and helpful. The bathroom was stocked with lovely soft white towels. Hand basin and sink plugs didn’t hold water very well so couldn’t enjoy a proper bath. Lovely helpful staff. We paid for & got a superb view of cathedral from our room. Everything was great. Fabulous breakfast. Would recommend a nice stay here. I had thee room with the view of the cathedral. Absolutely lovely ! No parking its 300yds from hotel. Stayed on a Thursday night, noise from people in the street and the emptying of bottles from the bar at 2 o'clock in the morning. The breakfast was terrible, saturated in oil. Me Mam use to cook everything in a chip pan, and tasted a damn site better than that. Not for me ime afraid. 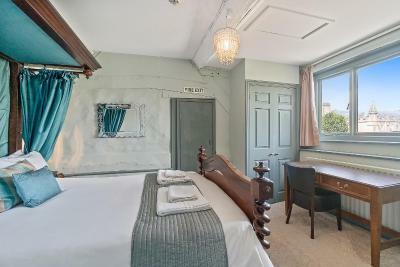 Due to the age of the building it is quite noisy, creaky floorboards, air in pipes - and a fairly busy road outside......so not so good if you are a light sleeper (but rooms the other side may suit better). 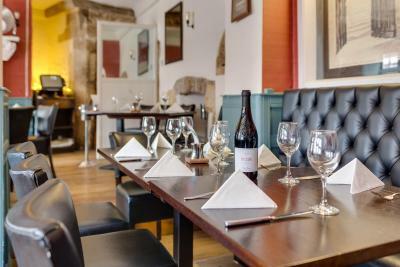 A good restaurant downstairs serving hearty Italian food and delicious cooked breakfast in the morning. Very clean rooms. Plenty of parking in the local area but none on site. Room was on the second floor up a steep staircase, not ideal for two senior citizens ! 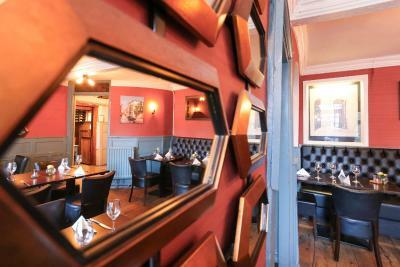 Central location, friendly staff, straight out of the back door onto the Cathedral Green. 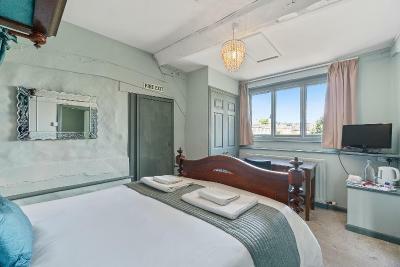 Beds very comfortable and lovely white cotton bedclothes and towels. Steeped in history.